Brillient! now needs some sounds for them and surely you can make them actually fire something? And to think I thought the Japanese did not have a sense of humour. Thats one of those things you need a photo of the prototype or no one would believe you. According to wikipedia the name translates to "War Tuba"
Didn´t they use trumpets to destroy the walls of Jericho ? So who is the first with a steam driven tuba in Gn15? thats brillient! how about a steam powered electric string folk rock quartet? That would certainly win the wars, scaring everyone away! That would seem to be right. Location: Worthing, West Sussex. UK. A coffee table used for coffee is a waste of space! Ah, that makes more sense if they were used for direction finding. Last edited by Simon Andrews on Wed May 21, 2008 5:38 pm, edited 1 time in total. Yes, I think you are right, though i dont remember which album. I for one am very dissappointed to find out that those are not war tubas I was trying to imagine the guy trying to actually blow a plane out of the air, and what would it sound like? Now my next question, what exactly was a Reconnaissance Waggon used for did they sneak it into hostile railyards for it to look around under the cloak of darkness? 3rdly, Kate Bush mmmm, running up that hill, oh yes. Sorry guys drifted away there. isnt running up a hill by katie melluar? mogbass01 wrote: isnt running up a hill by katie melluar? 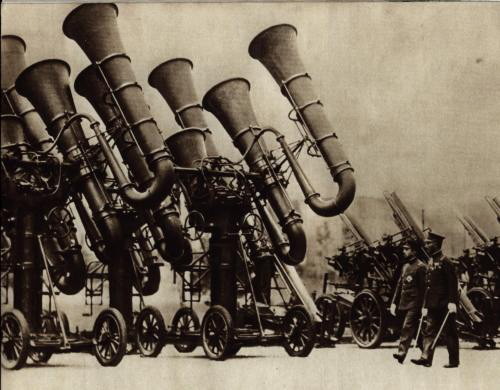 scott b wrote: I for one am very dissappointed to find out that those are not war tubas I was trying to imagine the guy trying to actually blow a plane out of the air, and what would it sound like? Similar to, Kate Bush - The Experiment IV, perhaps? Close, but a different song. Katie Melua did a cover version of "Crawling up a hill" originally recorded by John Mayall's Blues Band back in the 1960's. The correct title for the Kate Bush song is "Running up that hill". 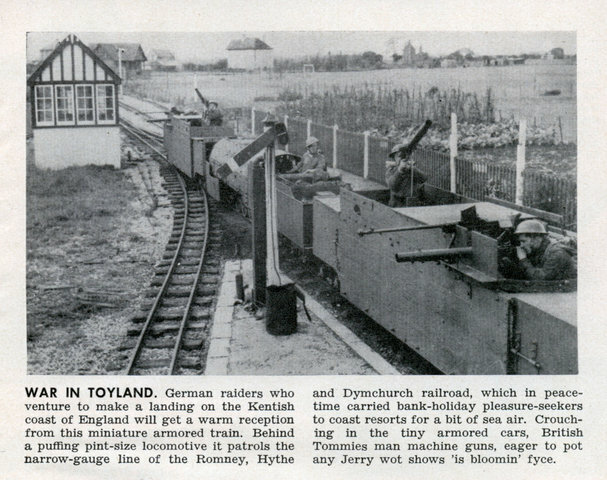 It is not Kate Bush related or war tuba (there needs to be a book) related but I do love that pic of the armored train, but I still think if everyone was firing to the one side it would tip right over but I do think a bunch of German planes must have crashed looking at that train thinking they where much higher than they were. Do trumpets sound at 1000 posts? Hi Scott, The M medal is now proudly displayed under your Lister avatar. Congrats Scott, that is a milestone well worth taking note of and a new medal aswell . Careful though, you are in danger of spending too much time on here, take that from one who knows . Well done mate .